Provide a list of resources for helping the employee cope with the termination. Provide outplacement services and have an explanation in writing of how they can assist. Have EAP available to speak with immediately following termination. If possible be willing to provide a letter of recommendation. Have a contact list should the employee have questions after leaving. Where possible and appropriate, offer beneficial options such as severance package, COBRA health insurance, etc. Where possible, try to avoid terminations around holiday periods. 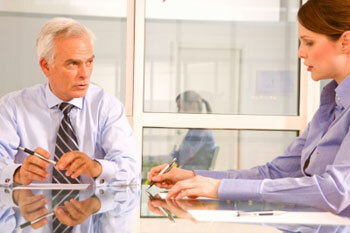 During the termination you may have to deliver news that could escalate the situation. Remember that the person may be confused, angry, and scared so stay neutral and understanding of their situation. Do not read into their emotions and take them on yourself. Two common situations that could escalate tensions are serving a trespass notice, and the collecting and returning of the employee’s personal property. When serving a trespass notice be very matter of fact simply state that it is standard operating procedure. In today’s world it is strongly preferred that the ex-employee be escorted directly off the premises and not be allowed to return. Returning the ex-employee’s personal property can often raise suspicions. The person may well feel violated because you entered their work space and handled his/her belongings. Explain that you want to save the person the embarrassment of having to face co-workers while clean out his/her desk; that the individual can simply exit through the closest door and not have to have interact with other employees. Make an inventory list of the collected property and allow the former employee time to go through it and determine if anything is missing. Have the terminated person sign for their belongings and if anything is missing, send someone to collect it immediately. Debrief after the termination to determine what worked and what didn’t work. Also, any threats made during the termination should be taken very seriously! Have a Post Termination Plan and always adjust it as necessary. Respect and dignity are two keys to a safe termination!